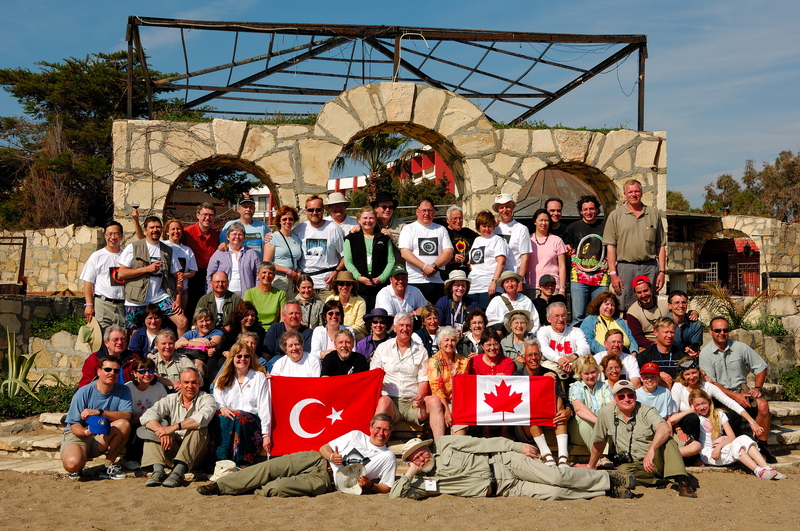 viewed near Side, Turkey just east of centreline. 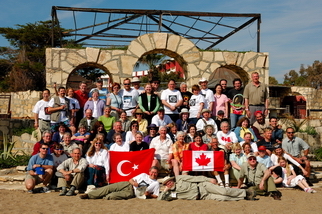 Tour organized by Civilized Adventures and RASC Calgary. 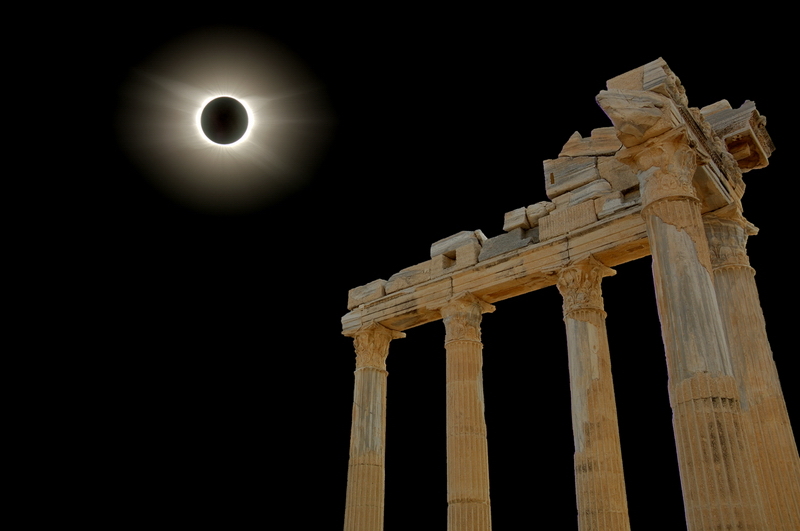 Above is a composite of the eclipse and temple of Apollo at Side. Click here for larger version. To download right click and save target/image. 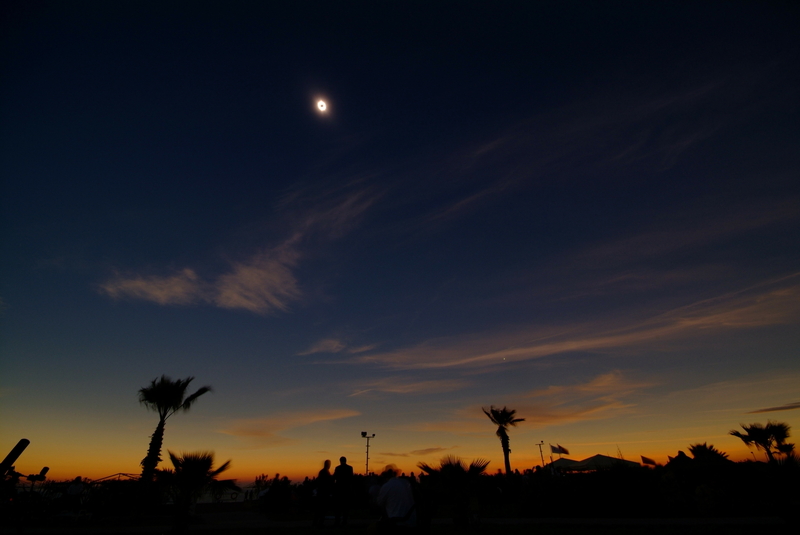 Wide angle view showing eclipse and Venus at lower right. Taken with Fuji S3 with Sigma 10-20 at 10 mm. Iso 100, f/8, 3 sec. Right click on image to download higher resolution image. Composite of six bracketed exposures taken with Nikon D2X, 300mm telephoto, iso 100, f5.6, from 1/30 to 1 sec. Processed with Adobe CS2 HDR and cropped. Cropped prominence view. Nikon D2x, 300 mm, iso100, f/8, 1/1000 sec. 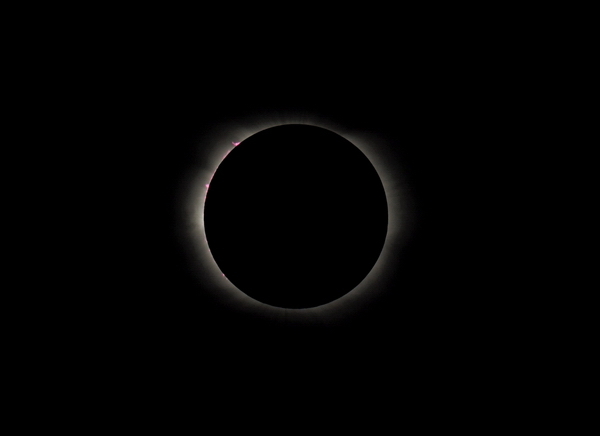 Composite of corona and prominences. Click on highlighted text to view webalbum of Turkey/Germany trip. Warning: Large wmv file sizes. Converted from avi/mpeg. 1. 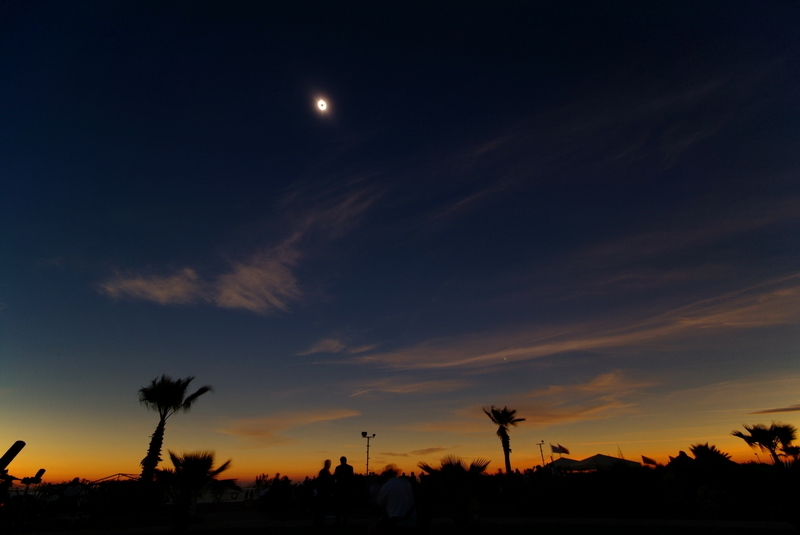 Wide angle view of eclipse (~50 MB) Recorded with Sony PC110 DV videocamera. 2. Closer view of eclipse from HD video camera (~30 MB) Recorded with Sony HDR-HC1 in HD 1080i and converted to DV. 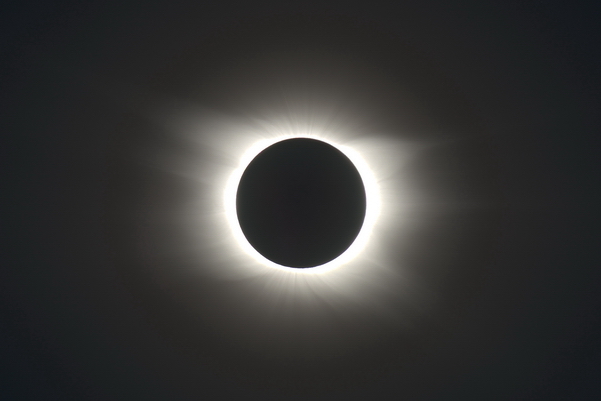 I took off solar filter late so that initial segment is dark. Second segment was taken with filter off but inadvertently left on manual settings set for partial phases, so shows inner corona/prominences. 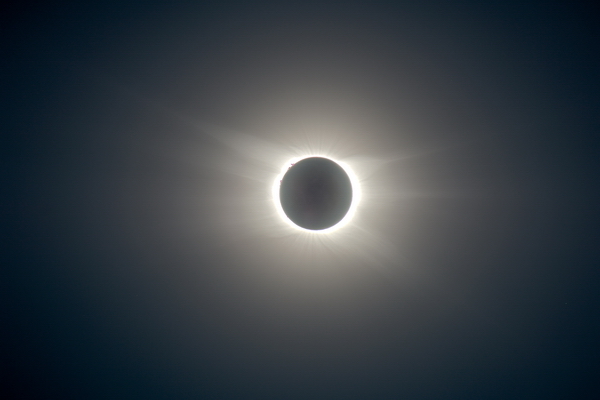 Third segment was when camera was set to autoexposure, and best shows outer corona. 3. View Backwards from Eclipse (~5 MB) Mpeg recording from digital camera converted to wmv.